Robin Butler examines the series of sensors available in the marketplace and explores the applications in which they can be deployed. Sensors are an integral component of any measurement and automation application to ensure accuracy, reliability, efficiency and communications capability. This has fuelled research and development into the sensors industry and the continued innovation in sensors technology has ensured a thriving market and a growing demand for custom solutions. According to analyst firm Frost & Sullivan, the sensors market in Europe is estimated to reach $19 billion by 2016, creating opportunities for technological advancements and ultimately new applications for sensors. 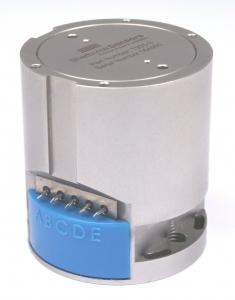 Ultra-reliability and long-life precision sensors such as inclinometers, accelerometers and load cells enjoy an unrivalled status within the sensors industry and are critical for use in industries spanning aerospace, military and defence, transport, construction and civil engineering, to name but a few. Inclinometers can measure horizontal and vertical angular inclination to very high levels of precision and output the data in the form of analogue or digital signals. Inclinometer technology has broadened the scope of sensor applications in recent years and there is a wide array of standard products available. Customised products can offer the customer many advantages including performance specifications to meet exacting requirements and enabling the direct fitment into applications. This results in better performance with both time and expense saved in the installation process. Below are listed some typical inclinometer applications. - Military Fire Control Systems - require robust sensors which can deliver precision measurements following exposure to severe levels of mechanical shock from the firing process. - Rail Track Monitoring - to survey rail tracks to determine deterioration and the need for safety critical maintenance. - Satellite Communications - used on ship, vehicle and land based antenna applications to track communication satellites. - Civil Engineering - to monitor movement over time of bridges, buildings and other large structures. - Continuous Casting Monitor - to ensure guide tracking is within dimensional tolerances to ensure continuous and quality production. Accelerometers measure linear acceleration and deceleration of dynamic systems. These can be used in the development phase of projects to ensure design calculations correlate with actual measurements in the application and also in the safe operation and control of equipment in service. The careful selection of an accelerometer is essential to ensure its frequency response is matched to the application requirements. 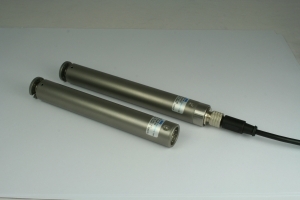 Products are available with bandwidths up to many kHz and some specialist low frequency accelerometers to measure down to DC levels (0Hz). - Aircraft Health Monitoring - acceleration levels applied to aircraft structures in service are monitored for determining the safe flying life of the aircraft. - Civil Engineering - low 'g' range accelerometers utilised to monitor accelerations induced into bridges and other structures to check design calculations and long term critical safety. - Railway - control of braking and cornering of trains to ensure safety and passenger comfort. - Flight Simulators - to control actuation systems to ensure the programmed 'g' levels are achieved. - Accident Data Collection - acceleration data recording for future reference in the event of an accident or incident. A load cell is a transducer that is used to convert a force into an electrical signal and offers measurement of tension, compression and shear forces. The majority of today's designs use strain gauges as the sensing element, whether foil or semiconductor, and feature low deflection and high frequency response characteristics, which are especially beneficial for both materials testing and high-speed load measurement applications, particularly where peak forces are being monitored. Load cells are available in many physical shapes and forms to suit particular applications and forms of loading. Miniature form and very low force ranges are invariably available as custom designs where specific customer applications require them. - Aerospace - Fatigue testing of airframe structures, internal engine forces and ejector seat force measurements. - Paper Mill - bearing force load cells to monitor and maintain correct roller tension. - Marine - hoist loads, platform retention, towing forces and mooring loads and systems. - Pharmaceutical Industry - to control the compressive forces during tablet manufacture during many millions of cycles.